One adult female Bulmer's fruit bat weighed 600 g (1.3 lb). Bulmer's fruit bat is a cave-dweller that occurs in mid-montane forests. Its altitudinal range is at least 1800 - 2400 m (5800 - 7900'). It is probably an obligate frugivore. It occurs in cave-dwelling colonies. The surviving bats are extremely cautious. If undisturbed, they leave their cave at dusk; in the presence of people, they leave after dark. All of the bats return to the roost at around 6:00 am, before light. Bulmer's fruit bat was first described from 12,000 year-old fossils found in the central highlands in Chimbu Province, Papua New Guinea. In 1975, it was discovered in the Hindenburg Wall area of Western Province, Papua New Guinea in a cave known as Luplupwintem. At that time, local inhabitants described the bat as being abundant, perhaps numbering thousands of bats. However, two years later, the colony had been decimated, apparently by hunters. During the 1980's, no bats were seen and it was feared that the species may have become extinct. However, by 1993, a colony of about 160 bats was known to be living in the same cave. 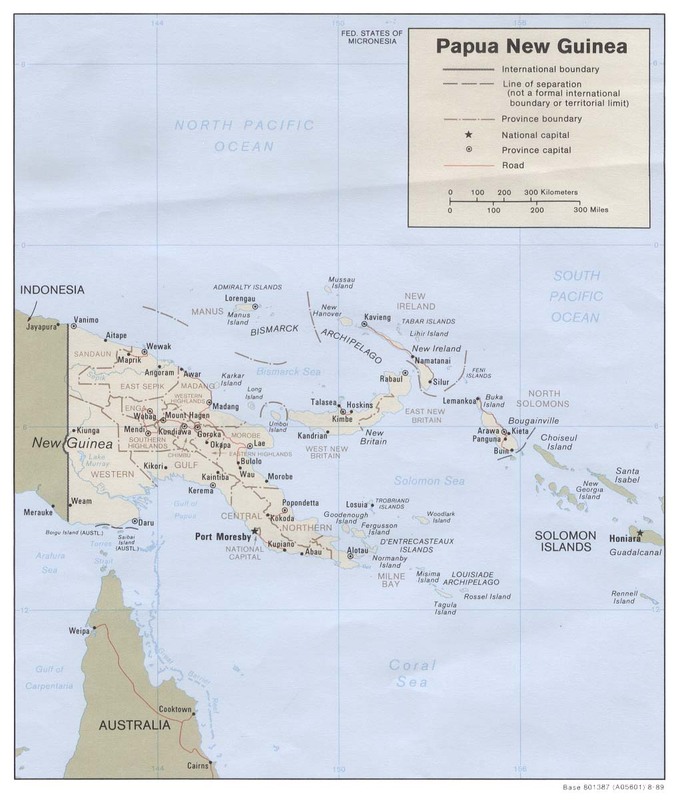 Several other populations have been reported recently from Papua New Guinea. Hunting and human disturbance are the probable causes of its recent decline. *** The Luplupwintem Cave had traditionally been protected by the native people of the area, but an inflow of cash in the mid-1970's led to the purchase of caving equipment and guns and to the decimation of the bat colony (Nowak 1999) . *** Etymology of the scientific name of Bulmer's fruit bat: the genus name ("Aproteles") - "incomplete at the front" (Greek), a reference to the lack of lower incisors; the species name ("bulmerae") - for Susan Bulmer, the archaeologist who excavated the site from which the original fossils were recovered (Flannery 1995). Bulmer's fruit bat was first described from 12,000 year-old fossils found in the central highlands in Chimbu Province, Papua New Guinea. It may have become extinct there about 9000 years ago. In 1975, it was discovered in the Hindenburg Wall area of Western Province, Papua New Guinea in a cave known as Luplupwintem. At that time, local inhabitants described the bat as being abundant, perhaps numbering thousands of bats. However, two years later, the colony had been decimated, apparently by hunters who entered the cave with shotguns and store-bought ropes. During the 1980's, no bats were seen and it was feared that the species may have become extinct. However, by 1993, a colony of about 160 bats was known to be living in the same cave. Hunting and human disturbance are the probable causes of its recent decline (Bonaccorso 1998) .The colony at Luplupwintem Cave had traditionally been protected by the native people of the area, but an inflow of outside cash in the mid-1970's led to the purchase of caving equipment and guns and to the decimation of the bat colony (Nowak 1999) . One adult female Bulmer's fruit bat weighed 600 g (1.3 lb). Bulmer's fruit bat is not sexually active by the beginning of its second year and probably does not breed until its third year (Flannery 1995) . A newborn Bulmer's fruit bat is carried for the first few weeks of its life by its mother while she forages. Based on dental structures and its close relationship to other fruit-eating bats, Bulmer's fruit bat is probably an obligate frugivore (Bonaccorso 1998) . Its diet includes figs. Bulmer's fruit bat roosts in caves. Bulmer's fruit bat occurs in cave-dwelling colonies.